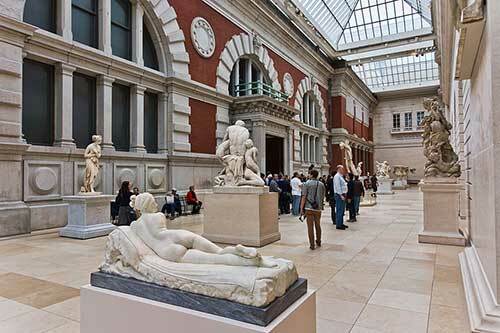 World-class art is only one of the things that makes New York one of the most-visited cities in the country. But choosing which museums to visit from the dozens of options can be daunting. Here’s a good place to start—a list of the most popular museums in the city; after all, you have to start somewhere, right? Five thousand years of art. That’s the task you’re undertaking when entering the largest museum in the United States, a prospect which can be both exhilarating and overwhelming. Expect iconic works from European masters, collections of antique weapons, costume art, Chinese calligraphy, and much more. Everyone will love the Temple of Dendur, an ancient Egyptian temple that was constructed on the Nile River 2,000 years ago, and gifted to the Met in 1965. If you just can’t get enough of the Met, take a guided tour, join the weekly lecture series, Sunday at the Met, or enjoy a cocktail and a concert on MetFridays. In the mild months, be sure to check out the rooftop for citywide views and whatever seasonal exhibit is on display as part of the Roof Garden Commissions. Follow the selfie-taking knot crowded around a lone painting and that’s where you’ll find Vincent Van Gogh’s “Starry Night.” After seeing so many reproductions of this famous image, laying eyes on the real thing is thrilling. The same goes for works by Frida Kahlo, Jean-Michel Basquiat, Picasso, and of course Monet, whose “Water Lilies” triptych occupies an entire gallery wall. The MoMA prides itself on its tolerance in art and highlights artists from a diversity of backgrounds; this philosophy extends to their film series, too, where they feature mostly independent and experimental films. On Fridays after 4 p.m., museum admission is free. The line to get in can snake around the block but moves quickly and once inside, there’s enough space for the large crowd that free admission draws. Cost of Admission: The Museum of Modern Art does not “suggest” $25 like the Met does. You’ll have to pay it if you want to get in. Right away, you’ll see that the art is in the architecture. 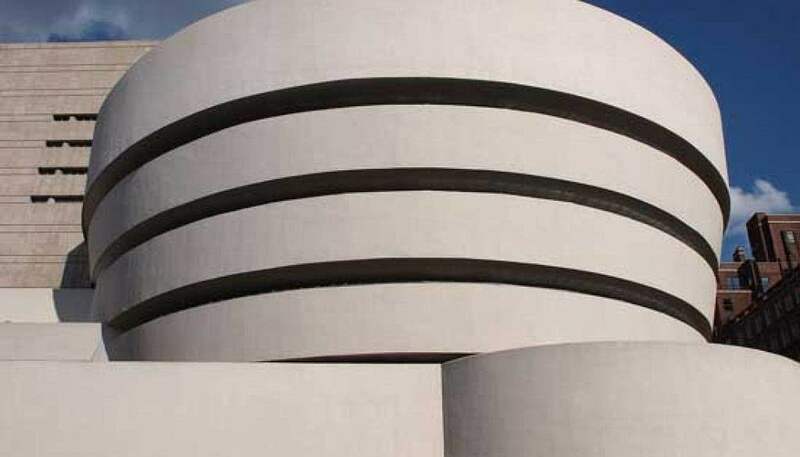 The gleaming white, hive-shaped building is a masterpiece by Frank Lloyd Wright and sits on fashionable Fifth Avenue directly across from Central Park’s eastern boundary; inside, the spiraling rotunda is even more stunning. And then there’s the art. In 1930, Solomon Guggenheim purchased his first painting by Russian artist Vasily Kandinsky upon meeting him in Germany. Guggenheim’s Kandinsky collection eventually grew to over 150 works. A selection of these works is on view on a rotating basis, along with pieces by Cézanne, Manet, Chagall and many more. Museum members can come to the monthly Art After Dark event and listen to live music, purchase cocktails, and see the exhibitions after the museum closes to the public. It’s an easy subway ride from Manhattan and the grand Beaux-Arts design by McKim, Mead, and White alone is worth the trip. The Brooklyn Museum is one of the oldest and largest in the country. It opened in 1897, a year before Brooklyn was consolidated into the Greater City of New York, or as some Brooklynites called it, “The Great Mistake of 1898”. It’s collection includes works by Georgia O’Keefe, Norman Rockwell, and Edgar Degas; also on view are Egyptian antiquities (the largest collection in NYC), Japanese art, and a reconstructed 17th-century Dutch house (dating back to when Brooklyn was a collection of 6 mostly Dutch rural towns). And this is just scratching the surface. The museum’s rotating exhibits showcase their civic-mindedness; the art frequently touches on issues of race and religion, and never fails to start a conversation about current social problems. A number of attractions are nearby, including the Brooklyn Botanic Garden and Prospect Park, so you can make a full day out of your visit. Located near the Gansevoort Street entrance to the High Line, the museum was designed by Italian architect Renzo Piano to blend in and complement its surroundings. The glass and steel structure provides 360-degree views out to the High Line and the city beyond, giving patrons inside a brightly lit, expansive space to view the world-class art. There’s plenty of room for everyone inside this massive structure, even when the most popular exhibits come around. The Whitney features works produced by American artists in the 20th and 21st centuries. Given its proximity to the High Line, and the many shops and restaurants in the area, the Whitney is a must on any downtown itinerary. Be sure to head to the top for the great views atop the elevated metal outdoor platforms, or take a break on the comfortable “couch” like seats overlooking the Hudson River. 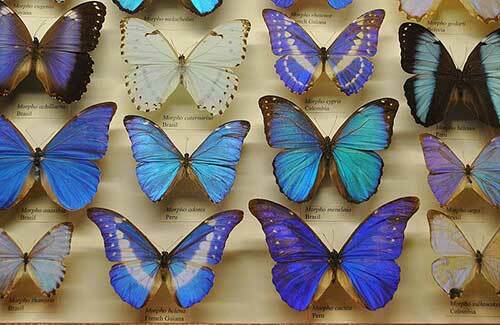 AMNH was founded in 1869 and has remained one of the most famous science collections in the country. The display of dinosaur fossils, including a 65-million-year-old Triceratops, will delight adults and children alike, as will the annual Butterfly Conservatory, where you can walk through a tropical garden while viewing butterflies from over 100 species, learning everything you ever wanted know about their life cycle. Also popular is the Human Origins and Cultural Halls, where you can pick up lots of interesting facts about the heritage of cultures around the world. Look for the equestrian statue of Teddy Roosevelt in front of the museum’s massive classical façade overlooking Central Park. Fun Presidential fact for you: Teddy is the only US President born and raised on Manhattan island (in fact, his childhood home is now a reconstructed brownstone that is run by the National Park Service and open to the public as a museum on 20th street near Park Avenue). What about other Presidents from the state of New York? Well, Franklin Roosevelt grew up in Hyde Park in New York’s Hudson Valley, while Donald Trump was born in Jamaica Estates, Queens. Two other Presidents were born in New York State but are relatively obscure. They are Martin Van Buren (8th President) and Millard Fillmore (13th President).